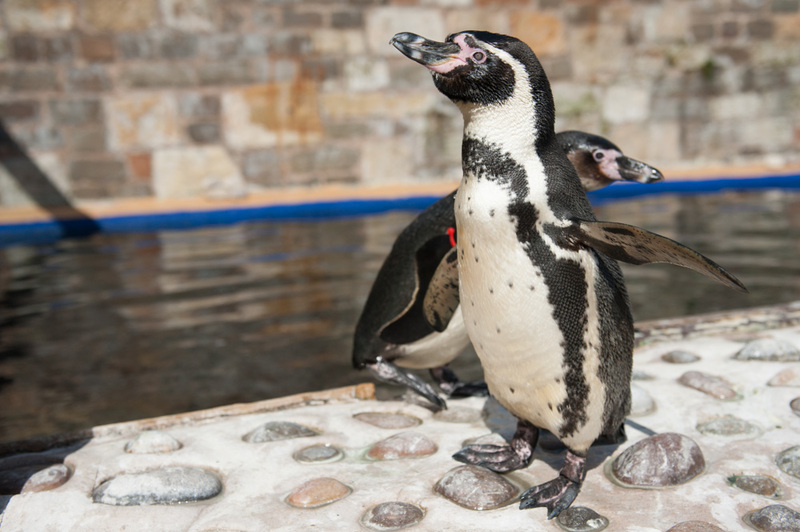 Our Humboldt penguins are a vulnerable penguin species native to South America. They have a black back and a white front, as well as a distinctive band of black across their chest and streaks of white down their sides. These penguins live on rocky coasts along the West Coast of South America, mainly Chile and Peru, but can be found further North in Colombia and Ecuador. However, these birds are not known to settle in areas further North of mid-Peru, instead they hunt for food and return to their nests in the South. Penguins are flightless birds, with their wings evolving into effective flippers, allowing them to be extremely agile underwater. Penguins, despite appearing to have very smooth skin actually have a thick layer of feathers which helps to keep them warm while they hunt underwater. These, like all penguins, feed on small fish, squid and krill, which they catch by diving underwater and catch using their vision specially designed for seeing underwater. But the penguins are in danger of becoming dinner themselves, as they are on the menu for leopard seals and orcas. On a brighter side penguins have no natural land predators in Antarctica, as polar bears are only found in the Northern hemisphere, but the unlucky Humboldt penguin still has to keep an eye out for snakes and other birds which will steal it’s egg. Our Humboldts were named by the public in our competition after Andy Murray and the rest of his family. 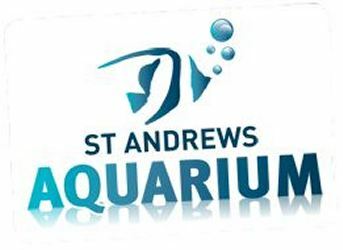 We’re also the only place in Scotland where you can see penguins like Andy, Kim, Judy and Shirley swimming around, with our underwater viewing window. 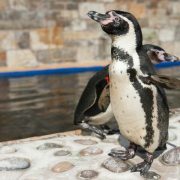 We have a penguin talk every day at 2pm, plus you can book the opportunity to feed the rascals and get to know them up close. You can even adopt one of them! Appearance: Quite short with a black back and a white stomach, with splashes of white around the head and down the sides. The Humboldt’s black and white feathers are actually clever camouflage to hide it from predators, while it swims looking for food. The white is hard to see from below as the sun shines on the surface, while the black is hard to see from above, as the deeper you go in the ocean, the darker it gets. Penguins keep their balance on land by using their short tail. Penguins mainly waddle to where they need to be but they also slide across ice on their stomach, or hop with both feet if they’re in a rush. Penguins are not afraid of humans, because they have no natural land predators. Visitors to the Antarctic cannot go closer than 3 meters to a penguin, but a penguin is allowed to walk right up to a human. Penguins can drink and filter salt water.